One of the best ways to improve your marketing process is to incorporate CRM software (ACT!, HubSpot, Salesforce, Zoho). If your company has already done this, then just make it a point to involve the marketing team. If not, then strongly consider implementing CRM software. In addition to improving your marketing process, your sales team will also benefit from it. The gap between marketing and sales teams is a black hole for productivity. There's just no reason to keep these two teams separate anymore, and if you do, then you're just hindering your own success. "As Sales and Marketing departments come closer together, they are both beginning to learn new things. Sales are deepening their understanding of the brand equity of good communications, while Marketing adopt the precise metrics used by the sales team. Both teams are using CRM to manage the entire customer relationship, from first tickle to project engagement. That’s the way the future of CRM should be. " There are two kinds of people: those that love data and those that don't. Even if you want to keep its role small, there's no denying that data can improve your marketing process. You'll rely less on intuition and more on statistic evidence. At the very least, your marketing efforts will become more consistent. Don't let your marketing process hold your business back. Incorporate CRM software in your process for better efficiency and consistency. How Much Employee Training is Necessary for CRM Software? Employee training for CRM software is important, but there's a limit as to how much training is really necessary. For CRM software to be effective, it's true that employees need to understand the system and incorporate it in their daily tasks. Yet with all of the different CRM software providers on the market today, there's no reason not to choose a system that's intuitive and easy to grasp. "Though many analysts emphasize the importance of upfront user education, Wettemann advises buying CRM software that is intuitive enough that most users won't require a great deal of training. 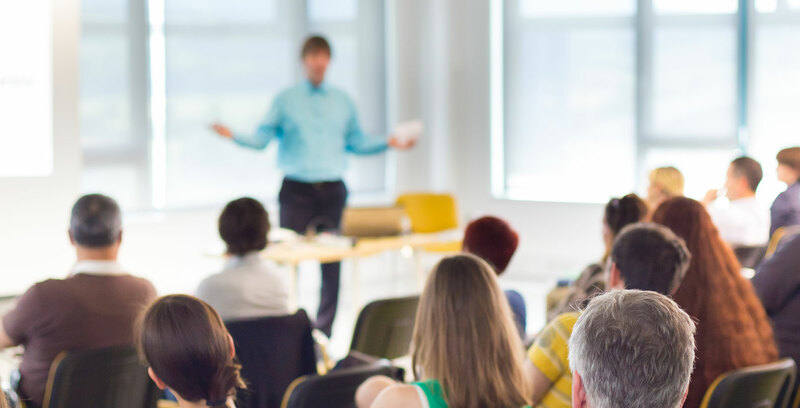 Then rather than scheduling mass classroom training sessions, conduct small-group sessions with individuals or groups that need a little extra help, offering usage tips geared to their specific roles." There are many important aspects to consider when selecting CRM software (ACT!, Salesforce, HubSpot) and employee training certainly isn't at the very top of the list. Businesses first need to consider the size of their company, their client base, and their budget. But how intuitive a CRM system is should definitely have an impact on a business' final decision. CRM software is designed to make customer relations easier for the company and sales representatives in particular. There's no need to make them go through months and months of training to try and understand a complicated system. When considering how much employee training for CRM software is necessary, keep the cost-benefit relationship of the purchase in mind. If training is starting to seem too costly and strenuous, then search for a more straightforward program. If you would like more information about CRM software that doesn't require extensive employee training, contact us.